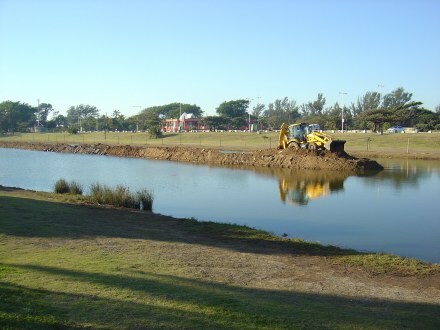 The Long Hard Battle to "Save the Pond". 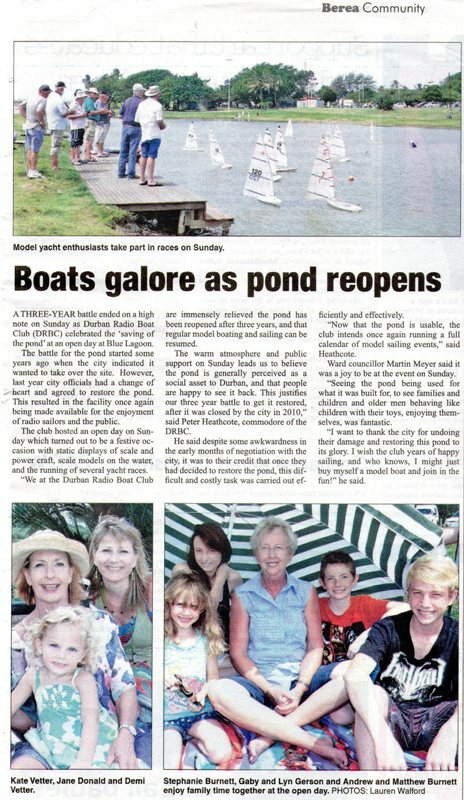 The below photos of of the Open Day at the Pond on Sunday 17th March 2013 held to celebrate the Re Opening of the Pond after a number of years of effort. 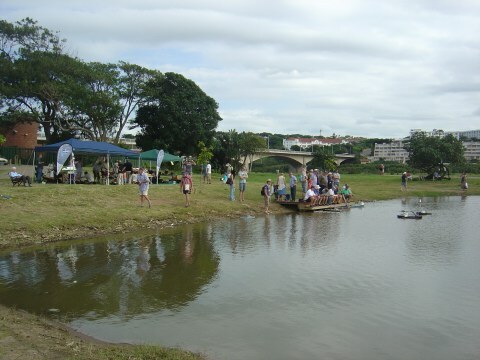 A view of the busy harbour from the water. 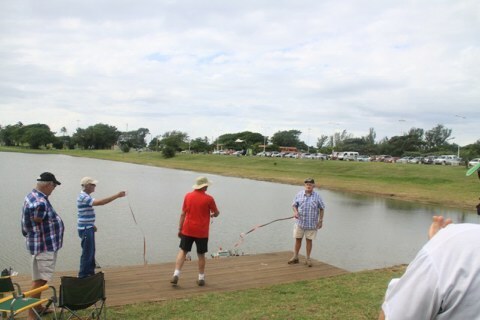 The Pond has never been this busy before what a grand Re Opening! 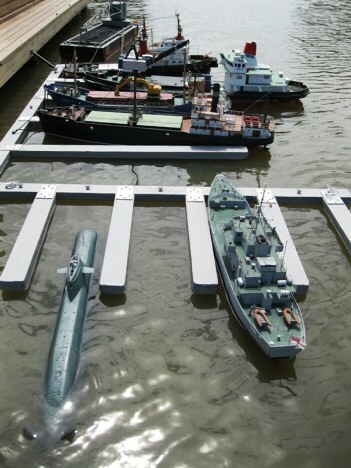 A view of the Navy section of the busy harbour. 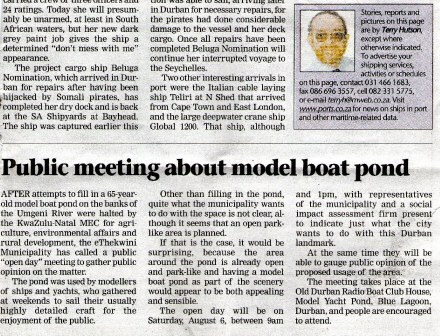 The new Model deck was fully occupied for the grand Re Opening! 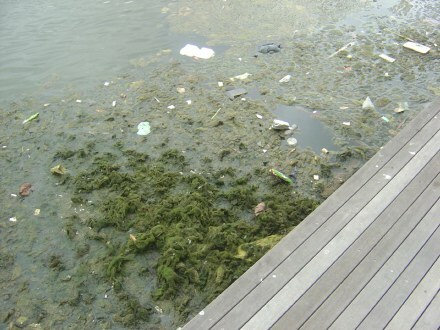 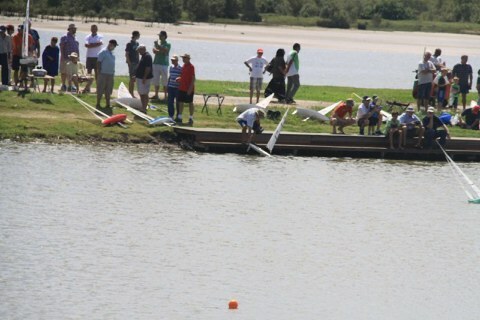 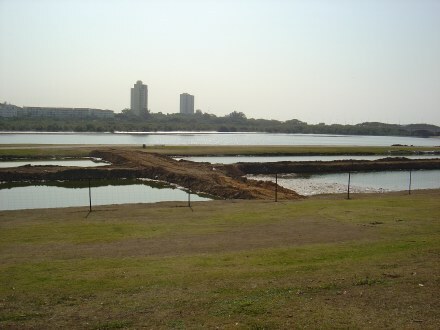 For more than two and a half years (as of July 2012) the Pond has been unusailable as a sailing venue. 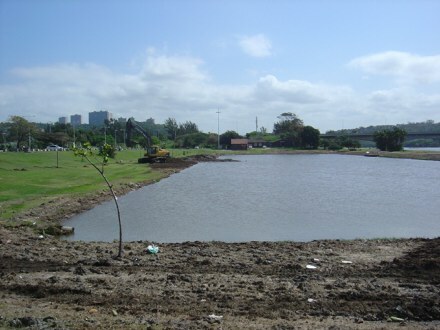 The city officials of that time (which was the build up to the soccer world cup in our country) decided in their wisdom, that the Pond would serve the community better if it was filled in to become a larger picnic area! 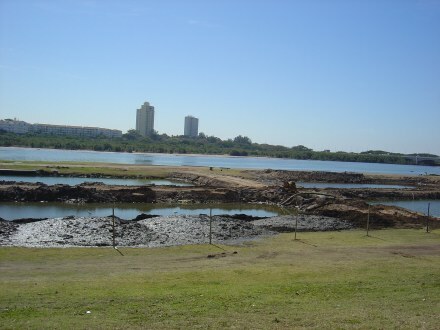 They gave the club notice to vacate the clubhouse and proceeded to 'plant' three large 'island' in the waters of the Pond supposedly to plant a palm trees on each one of them. 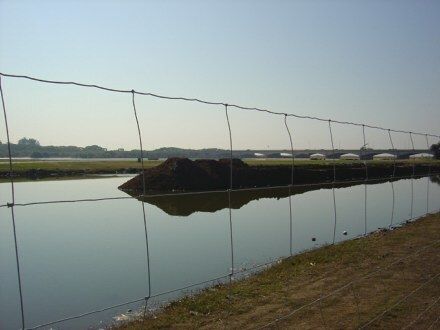 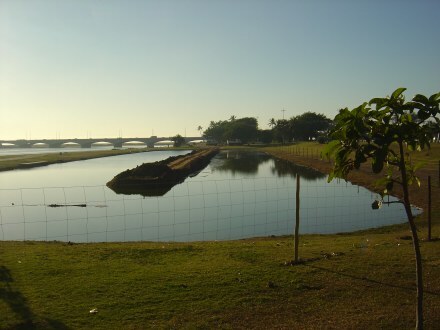 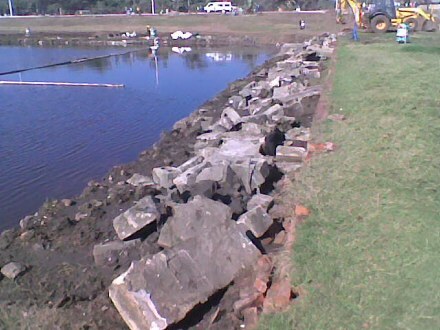 They demolished the retaining walls of the Pond and dumped the rubble resulting from the walls into the waters of the Pond thus ensuring that sailing was made impossible. 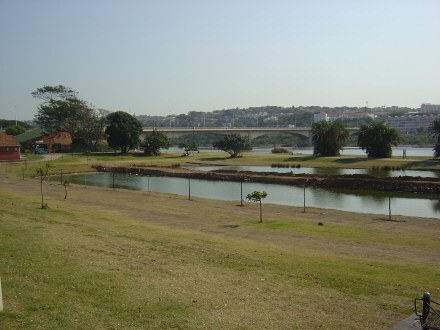 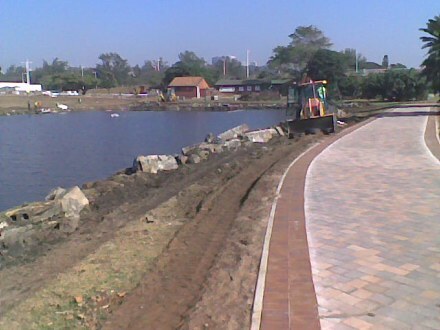 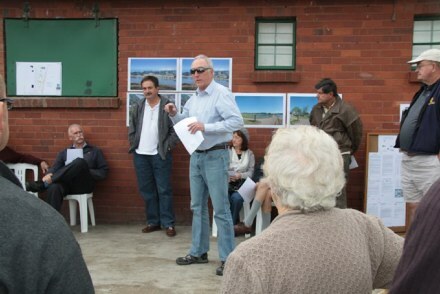 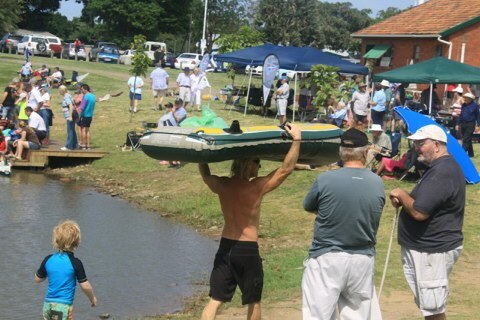 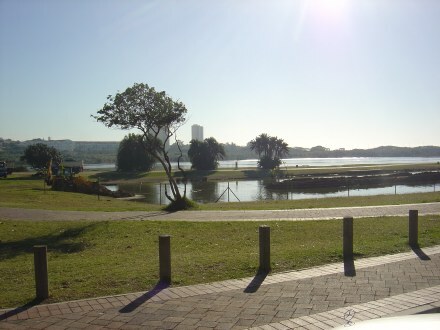 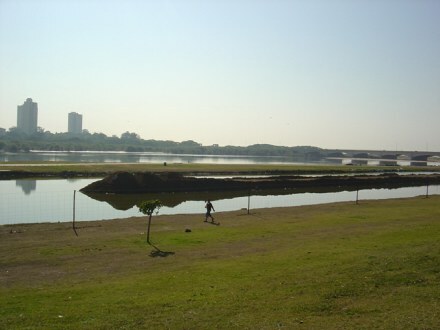 The paving and lighting improvements were approved but the 'infill' of the Pond was refused these decisions were made by the KZN Department of Environmental Affairs who also suggested that a Social Impact Assessment (SIA) was necessary to establish, how and where, the users of the Pond would be accommodated. 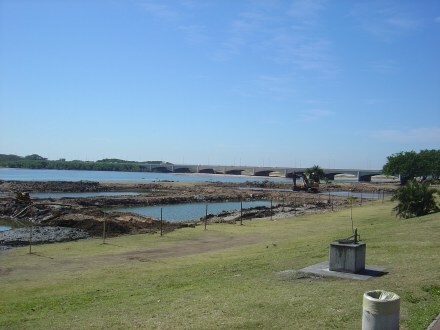 This the city decided was unnecessary. 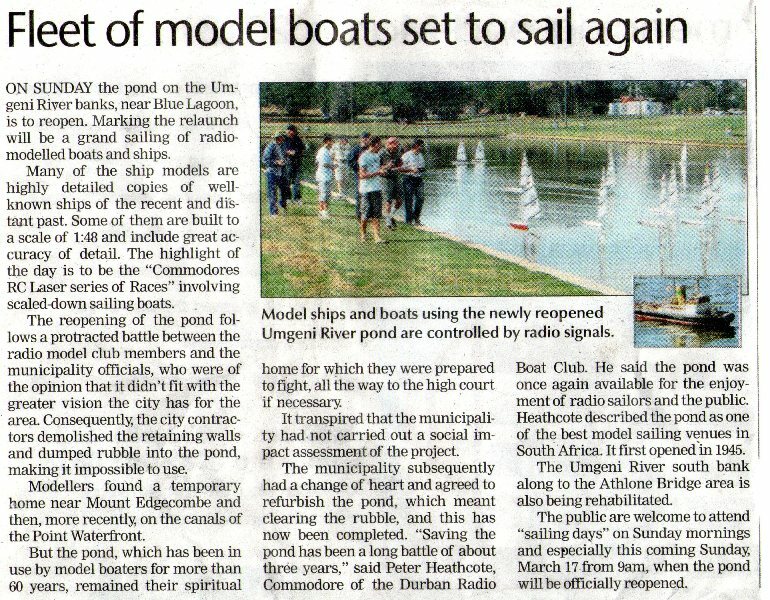 This was done and culminated in a general meeting of interested people at the Pond on a very cold Sunday morning. 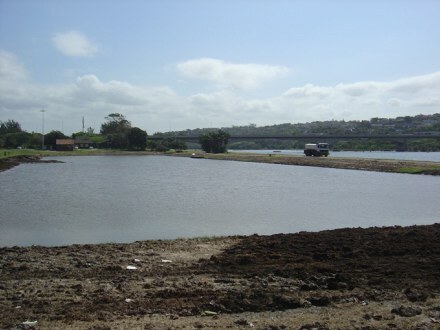 The result of the SIA has never been made available for inspection despite many requests being made. 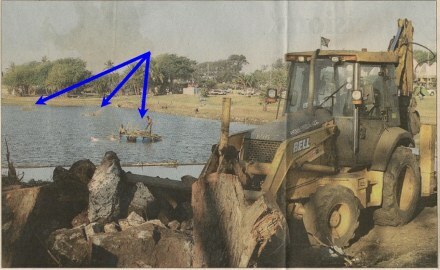 This was was the situation from the end of 2009 upto and including the begining of 2012. 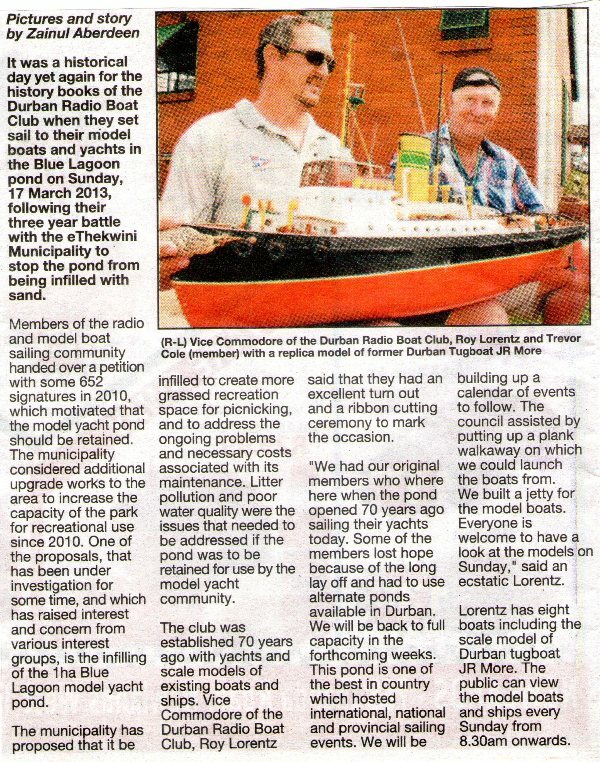 In January 2012 the DRBC had a long overdue AGM and a new committee of Commodore, Peter Heathcote, Vice Commodore, Roy Lorentz & Secretary & Treasurer, Terry Flynn were elected. 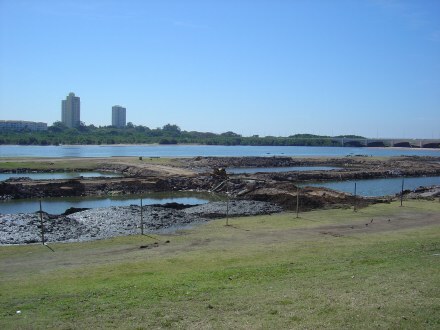 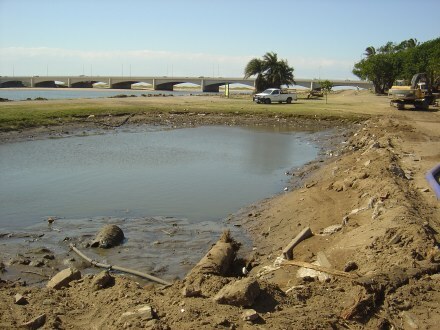 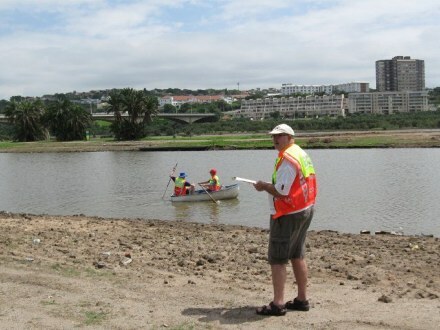 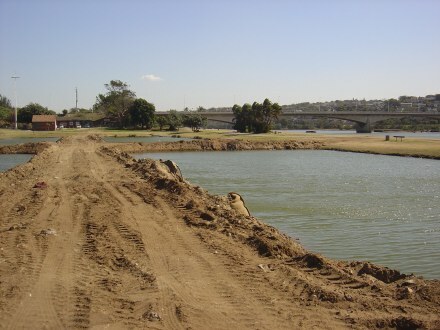 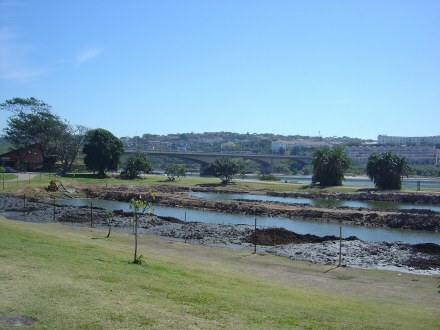 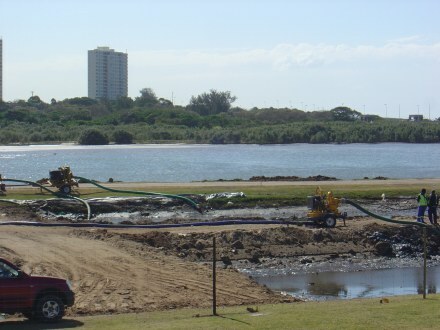 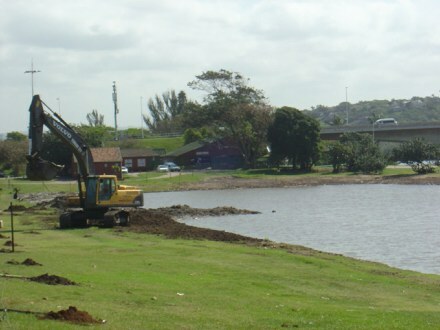 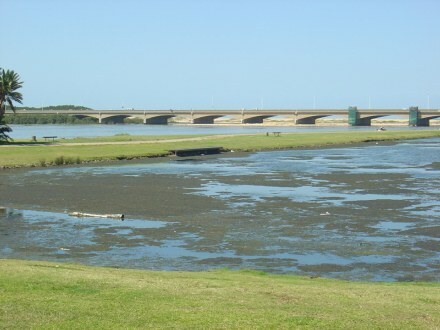 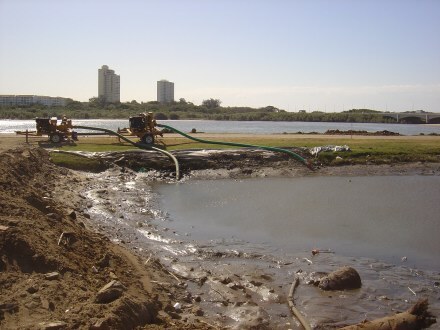 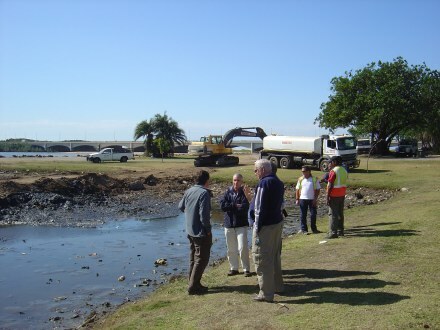 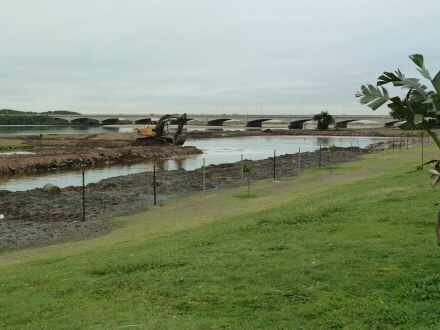 The rehabilitation of the southern bank of the Umgeni River forms part of the Beachfront Upgrade Project in respect of which we have appointed Vumani Civil's and the clearing of the Pond will be undertaken as part of this Contract. 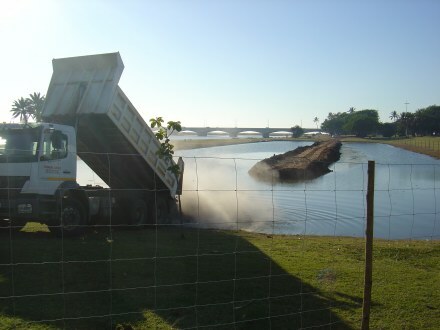 They will then 'flood' the water from the half closest to the river into the newly cleaned half. 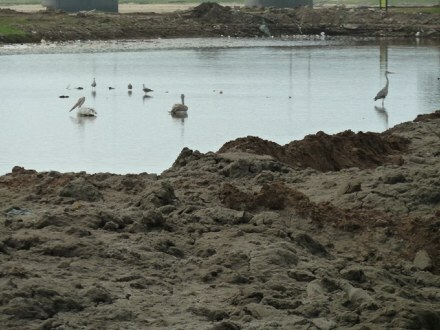 They will then clean out that half and then start removing the sand that has created the road through the Pond. 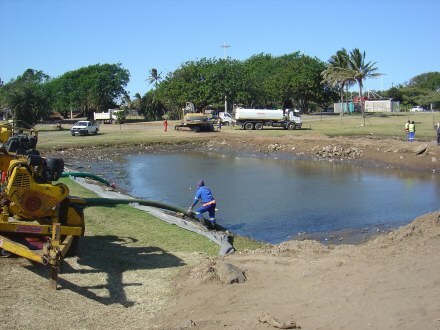 Full steam ahead with removing the mud from the bottom of the Pond. 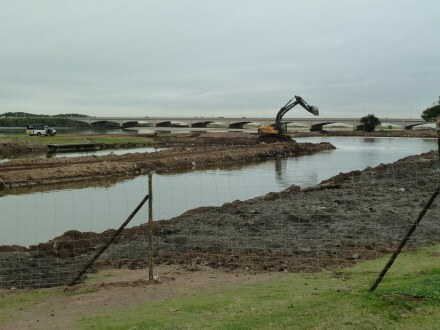 2 Photos from Bjorn Hanssen that clearly shows the rapid progress that is being made clearing the Pond and removing the coffer dam walls that the excavator works from. 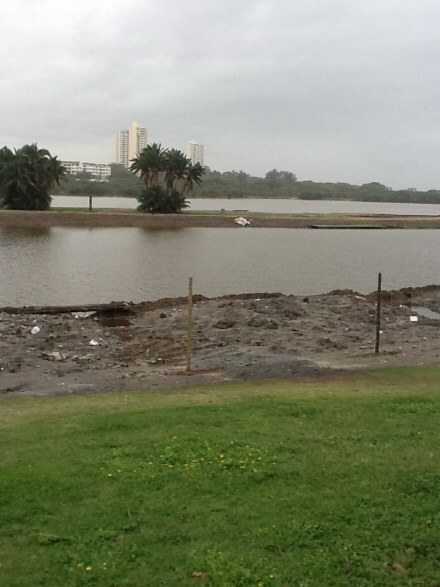 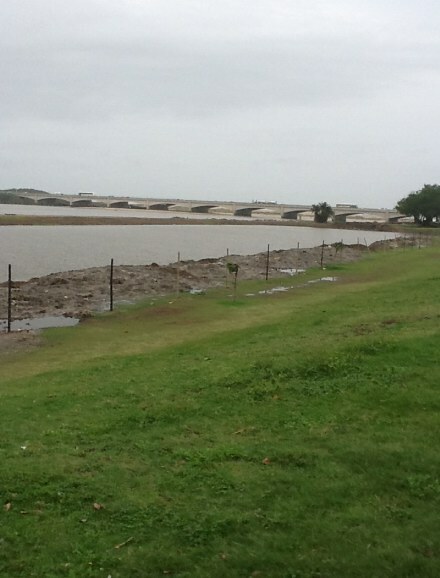 Some of the mud on the banks has also been removed. 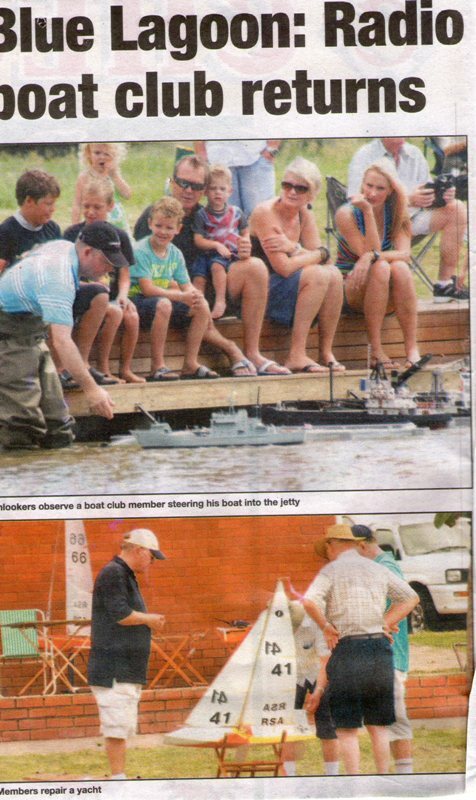 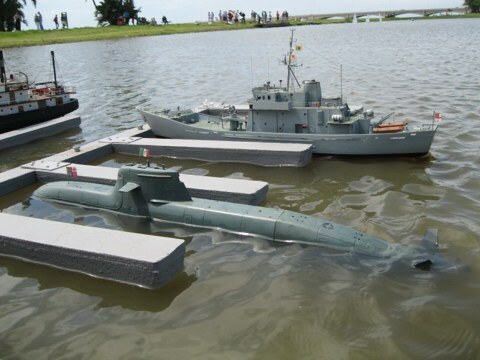 The below 2 photos taken by Mike Deyzel show the whole Pond in the two photos and just serves to remind us just how big this Model Yacht Pond is. 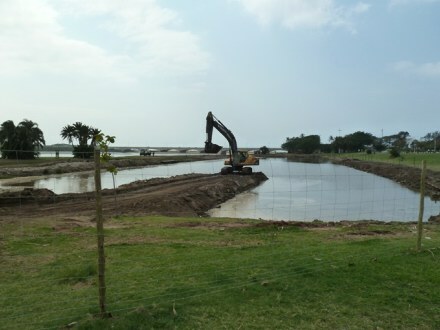 We had our first attempt at 'sounding' the Pond for high spots. 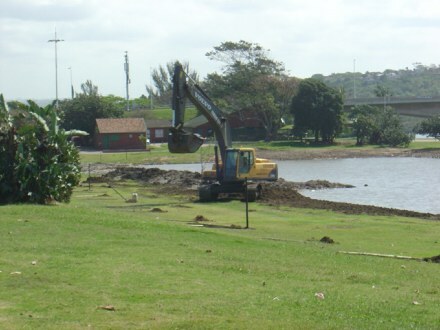 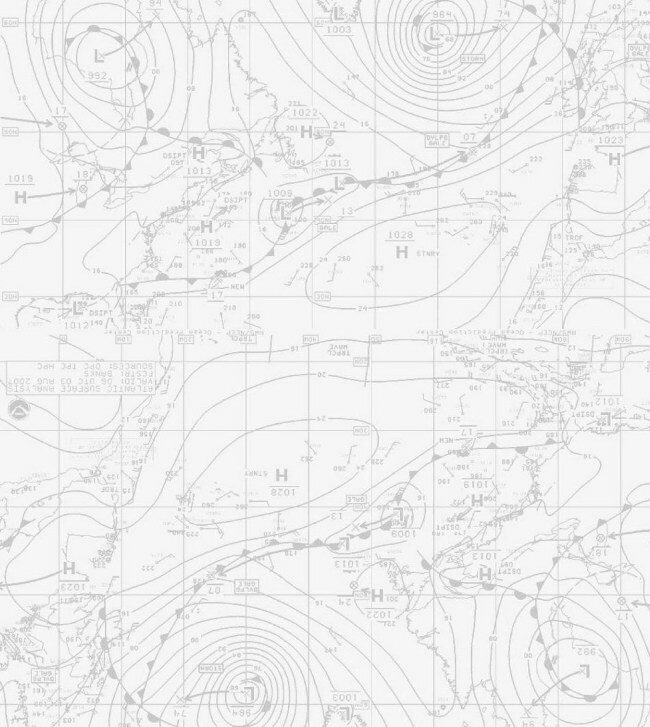 Our efforts were challenged by a few problems which we have now resolved and we will once again attempt to complete this exercise on Tuesday 23rd October. 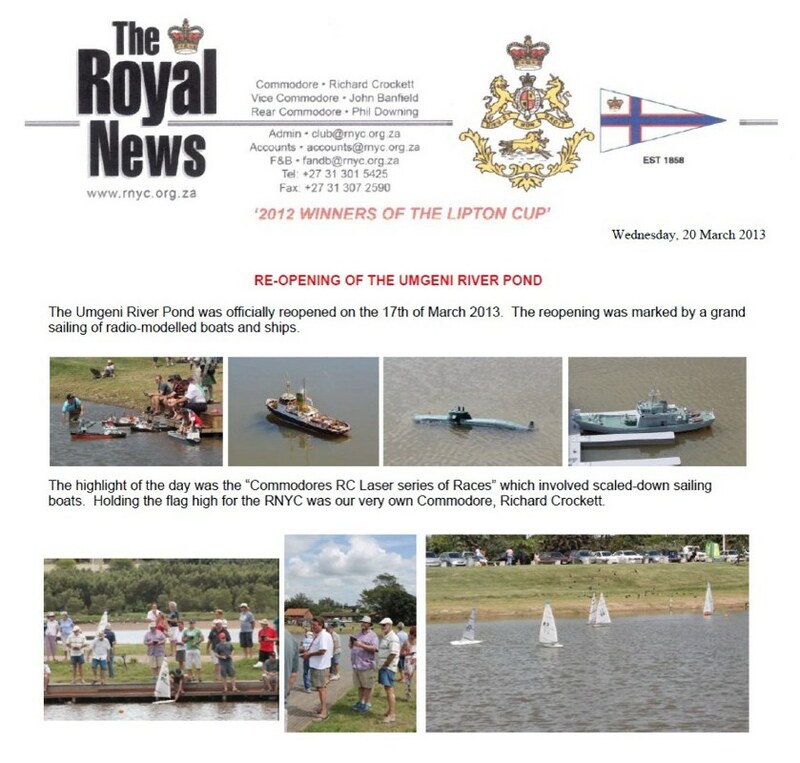 Seen in this photo taken by Vice Commodore Roy Lorentz are the Commodore Peter Heathcote and Norrie Taylor in the dinghy doing the 'sounding' and Terry Flynn doing the recordings. 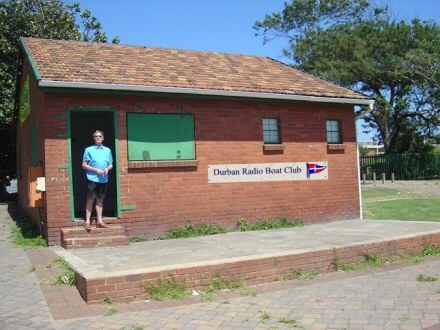 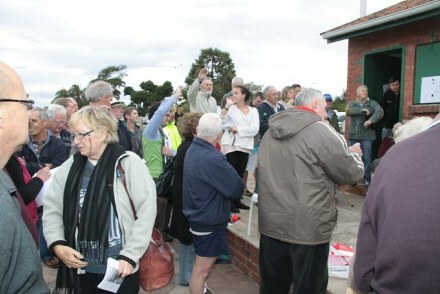 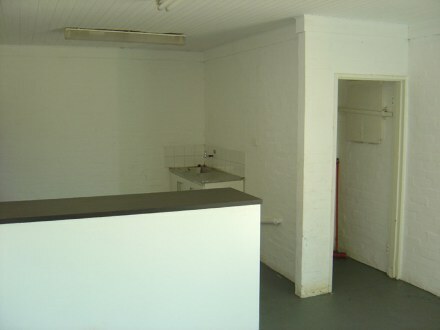 This morning, Wednesday 19th December, the clubhouse including the 'galley' and 'heads' was handed back to the club.